Yikes! Your post just had me running to my PC to check my external drives. All are fine after yesterday’s update. Yeesh. What Windows Update does break, EVERY FREAKING TIME, is my mixer. I use VoiceMeter Banana and a virtual audio cable for my recording and streaming, and every time there’s an update, I have to uninstall cable, reboot, uninstall voicemeter, reboot, reinstall cable, reboot, reinstall voicemeter, reboot. I usually just have to reassign it as the default device and it’s fine. Windows just seems to slap it back on the hardware after an update. I wish it were that simple. Sometimes it is. But for bigger updates, gotta go through that whole rigamarole. So guys, I’m having a weird problem with Windows 10. I installed a legit copy of Star Wars Galaxies the other day, and Windows is saying the directory is read only, but I can’t seem to uncheck the box, as it always comes back even after applying it. Any ideas on how I can fix this? Try running the installer/program as administrator. It generally solves compatibility issues for me for older programs in 10. Gah, alright, I’ll try that next. Thank you. Is the install folder under “Program Files” by any chance? If so, get it out of there. You’re probably fighting with TrustedInstaller. Nope, it’s on a different drive entirely. Or log in as admin when installing mods or tweaking the game. Microsoft's working on it. 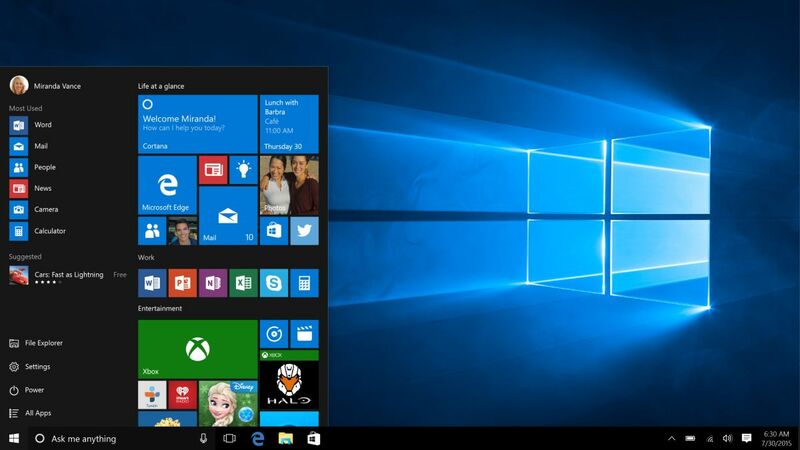 As a short-term fix, Microsoft says you can uninstall the update. My guess is that only applies if you have a CPU using their implementation of retpoline, meaning any AMD CPU or an intel CPU that’s broadwell (“5th gen”) or earlier. So this bs service keeps autostarting itself (BcastDVRUserService) and even running PSexec with system seems to be unable to reconfigure it. Guess its time to go into regedit. 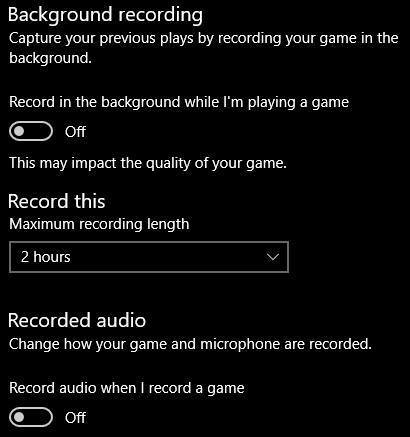 That’s the game DVR stuff, turn it off in the settings. That is the thing, it was already ‘off’ in settings. (1803). Guessing with the way Windows 10 is gradually removing control from the user to “the hive mind” at Microsoft we will soon see the removal of Regedit also. One thing I see is that a lot of services have a “master” service with more settings, then a _(random) service, guessing per user, that contain much of the same settings. In services MMC you only see the _user services, but not the master service. Having set both to disabled for this service, and it being stopped, it was immediately restarted when I opened up the settings page in the screenshot above. It’s a per-user service, that gets created when you log in and destroyed when you log out. Learn about per-user services introduced in Windows 10. Windows 10 would be a vastly better platform if everything (including control panels) with the tiniest hint of Metro UI was ripped out tomorrow. Either that or brought up to parity with the windows desktop stuff, which it still isn’t. At the rate they’re going they’ll get there in like 2022.